The NASHVILLE YOUTH CHOIR is a mixed choir of grades 9-12 and changed male voices. This choir builds on the foundation of the younger choirs and performs three and four-part literature. Through a foundation of a cappella literature Youth Choir members gain experience in independence of singing. Emphasis is placed on the ability to hold pitch, unsupported by an instrument, and to develop an ensemble sound through uniformity of vowels and tone production. The Youth Choir performs in December and Spring NCC concerts. 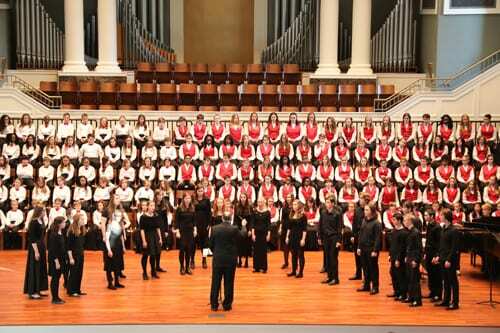 Learn more about auditioning for the Nashville Youth Choir.